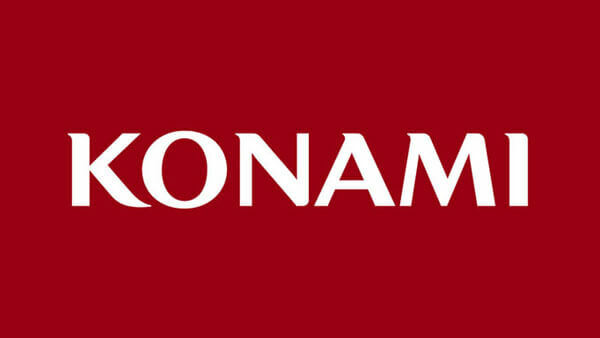 Konami is mainly known as a company developing video console games. They have had a few gems like Contra, Castlevania and a few others. What initially started as a repair and upkeep business for jukebox machines is now a multi-billion dollar empire, operating in different verticals. Their gaming enterprise is producing both land based and online gaming machines, as well as solutions for operating a casino business. It is worth pointing out that the man who founded Konami in 1969, Kagemasa Kozuki, is still CEO and chairman of the business. Part of what makes Konami pokies great can be attributed to their effort put towards research. Years before launch of the first pokie machine, the company spent millions trying to understand what is it that makes players loyal to a single game or developer. As players ourselves, we can honestly say that they have it figured out and pokies created by this company are exciting to play and actually worth giving a try. Solstice Celebration – the title already gives it all away. This game is themed after celebration of solstice, which is the shortest longest day of sun in the whole year. It’s widely celebrated in the Baltic States and Europe. The game offers 30 pay-lines over 5 reels and a chance to trigger up to 40 free spins. Expanding wild symbols is a nice additional feature to keep players more entertained. 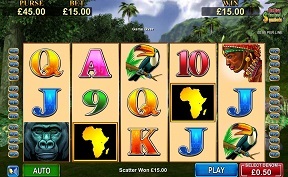 African Diamond – another 5 reel, 30 pay-line release that is themed after the jungle of Africa. Toucans the continent of Africa and diamonds are all common symbols on the reels. The main selling point for this pokie game is the free spins feature. You’re given a chance to trigger up to 25 of these with a multiplier of x2. Ancient Dragon – an interesting game with 100 pay-lines and an unusual appearance of rows on the reels. First and fifth of these only have 4 rows while the middle three have 5 symbols on each of them. The main feature that You can look forward to is free spins. Up to 25 of these are available, although there isn’t an additional multiplier or anything similar attached to these. 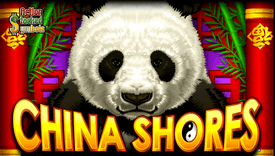 China Shores – the first game Konami released in the online environment and still a fairly popular one. It’s built using their standard 5 reel, 30 pay-line and offers up to 20 free spins when 5 Yin/Yang symbols appear on the reels. At least three of these will trigger 8 spins that can also be re-triggered during the feature. 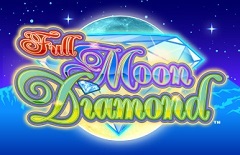 Full Moon Diamond – our favourite pokie machine from Konami’s current online portfolio. 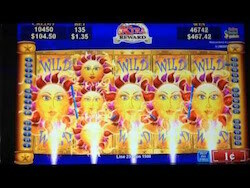 It’s offering a 4-5-4-5-4 row setup over the five reels used, action stacked wilds and free spins. Landing 5 diamonds on a pay-line will also reward You with 1,000x times line bet. 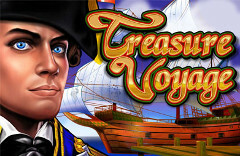 Treasure Voyage – pokie with a unique reel formation, similar to a couple of other titles from this same development company. 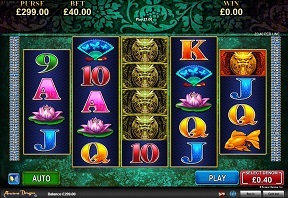 4-5-4-5-4 format is used to sort rows over 5 reels and gameplay is offered on 100 pay-lines. The game returns 93.98% according to Konami and offers a regular free spins feature plus action stacked wild symbols. Even though land based casinos have spread these pokies across Australia, we couldn’t find an online site offering them to Aussies. Only players from New Zealand can do so at this point and the casino for that is MoneyGaming that also features top titles from Aristocrat and a couple of other well-known companies. Players from Australia should join Leo Vegas Casino. While they do not offer games from Konami, You will find over 650 others from likes of NetEnt, IGT, BetSoft, MicroGaming and other providers that are already well established. Gain access to IGT, Aristocrat and Konami pokies under a single roof – join MoneyGaming Casino that is licensed by the Alderney Gambling Commission. You can play from pretty much any device You’d like, take part in their VIP club and claim either $300 or $1,000 high-roller welcome bonus!